Free high resolution photo of goose tracks left in the snow. This photo shows two separate trails of tracks that intersect. The geese leave a very distinctive three pronged footprint. 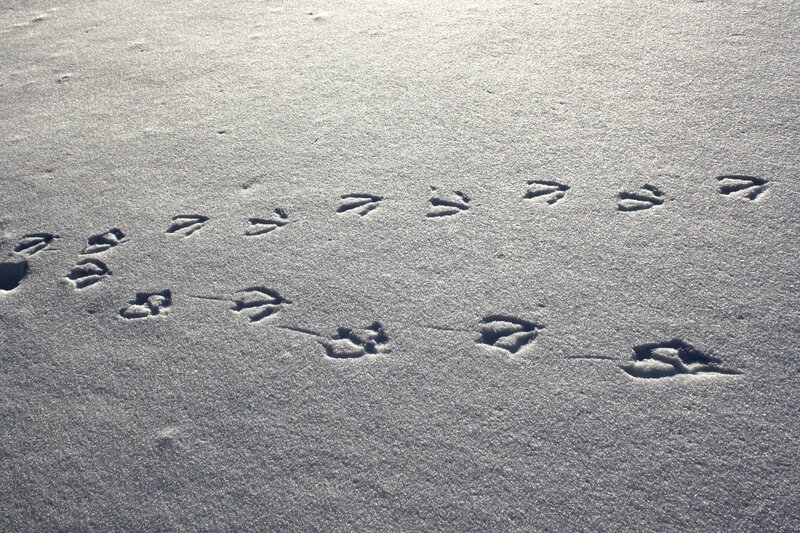 I believe these prints were left by Canadian geese. Free picture for any use.